donate land or certain shares to a charity that agrees to accept your donation. Gift Aid is the simplest, and most common, way in which individuals and businesses alike can make tax efficient donations to charity. If you’re a British taxpayer, the Gift Aid scheme allows the charity you’re donating to to reclaim basic rate tax on your donation from HM Revenue and Customs (HMRC), thus increasing the overall value of your donation. make a Gift Aid declaration (using an appropriate form) that you would like Gift Aid to be added to your donation. Donating to charity through a Payroll Giving scheme is a great way to give to charity every time you’re paid by your employer. In order to make a gift to charity through a Payroll Giving scheme your employer must have already set up the scheme with their business, and you must authorise your employer to gift a certain amount from your pay every month (or however often you’re paid) to a Payroll Giving agency that’s been approved by HMRC. It’s this agency that will then send your gift on to your chosen charity (or charities). The main benefit of donating to charity through your employer’s Payroll Giving scheme is that your donation is deducted from your pay before the tax you owe is worked out: therefore you receive immediate income tax relief at your current (basic, higher, or additional) tax rate. For more information on payroll, click here. 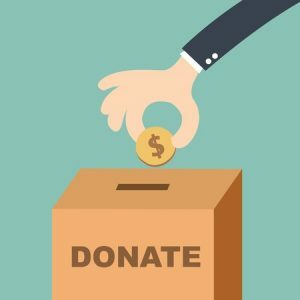 If you decide you’d like to donate land or certain shares to charity, the first thing you need to do is contact the charity (or charities) in question to make sure they are able to accept your donation. holdings in recognised foreign collective investment schemes. Keep in mind, if you donate any land to a charity it’s essential that they present you with a certificate proving that they have acquired the land from you in order for you to receive tax relief. To speak with a professional accountant to discuss how you can make tax efficient charitable donations, or for anything else, contact us today on 020 8780 2349 or get in touch with us via our contact page to arrange a complimentary, no obligation meeting.